Habitat - Waste places, disturbed sites, roadsides, fields, lawns. 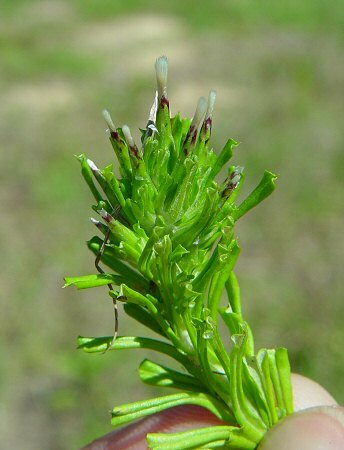 Other information - This weedy little species can be found in scattered counties throughout Alabama. 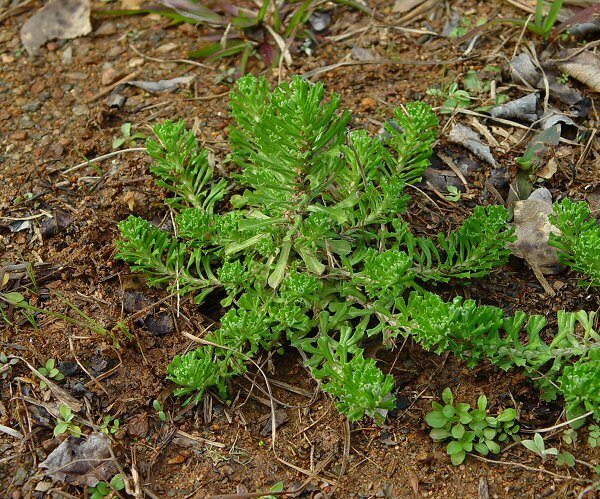 The plant is easy to identify becasue of its decumbent to ascending stems (which are floccose), and its revolute, mucronate leaves. 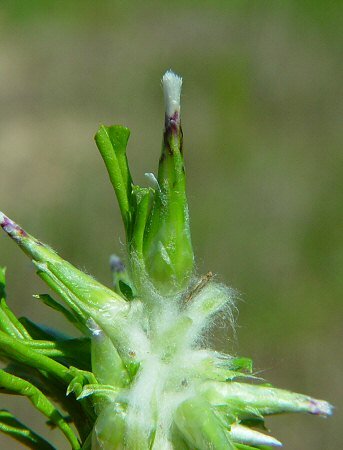 The sessile flower heads are tucked amongst the leaves. The genus name Facelis is of unknown etymology. The species epithet retusa derives from the Latin "retus" meaning "blunt" probably referring to the apices of the leaves which are blunt to emarginate but have a mucro. Photographs taken off Lee Rd 27, Auburn, AL., 5-27-05.